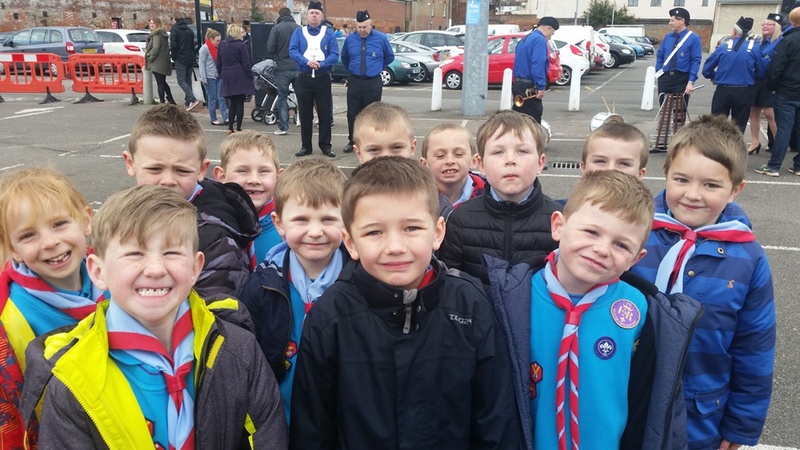 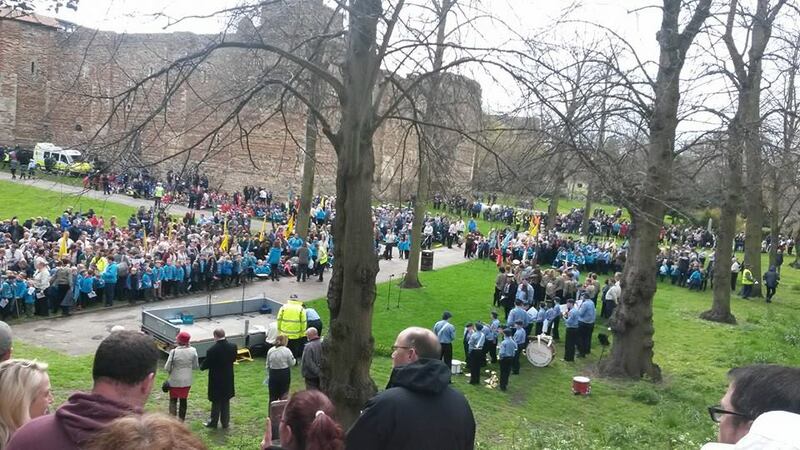 Hundreds of Scouts and Guides turned out on a cold (and at times hailing) Sunday 24th April 2016 to celebrate St. Georges Day with their annual Colchester Scouts St. Georges Day parade through Colchester Town, made especially important as it’s the same year of the Queens 90th Birthday. 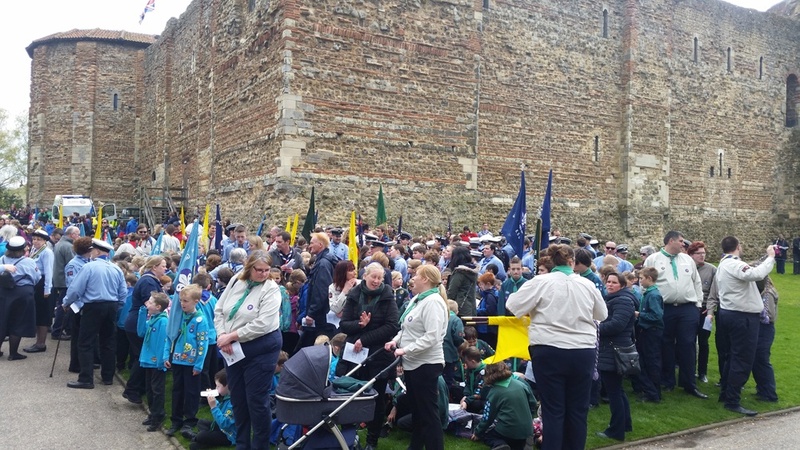 The parade was joined by Colchester Mayor Theresa Higgins, life-long Scouter Sir Bob Russell and Will Quince MP, also a former Scout. 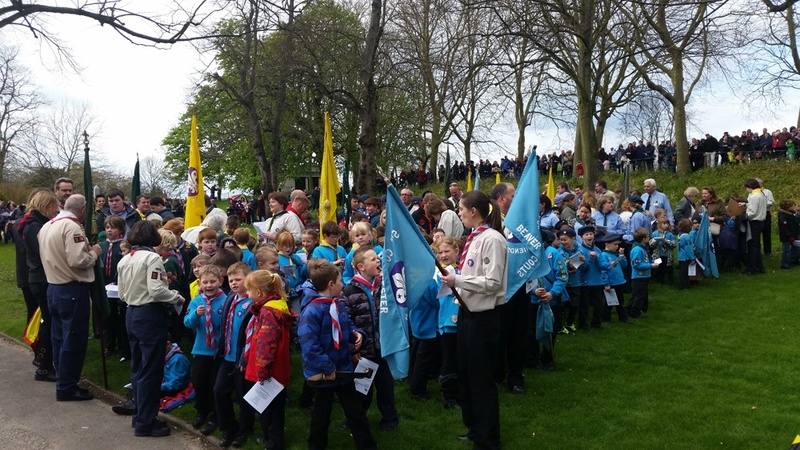 2016 sees a special year for the Scout Association. 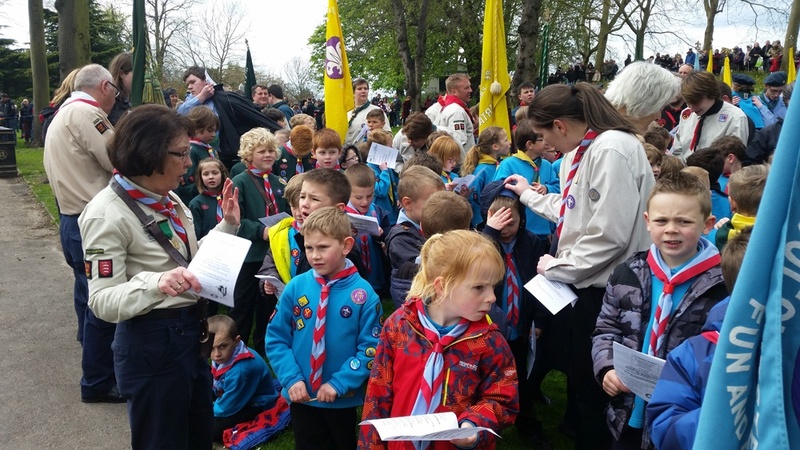 It has been 30 years since Beaver-Scouts began, allowing children from the age of 6 to 8 to get involved in Scouting. 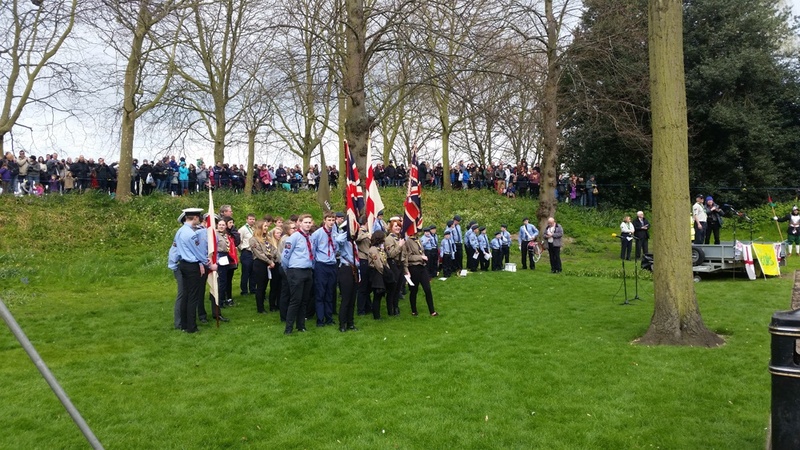 The Association has grown by 4% year-on-year and 25% of Members are now female. 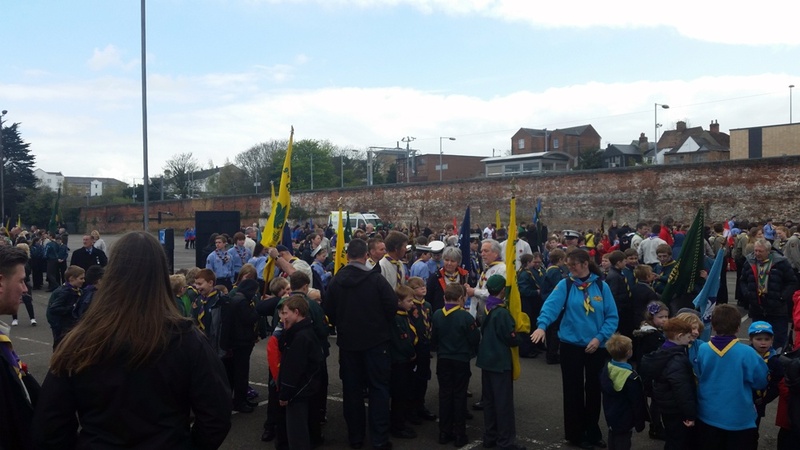 Here are the photos I snapped on my phone of Colchester Scouts St. Georges Day parade 2016. 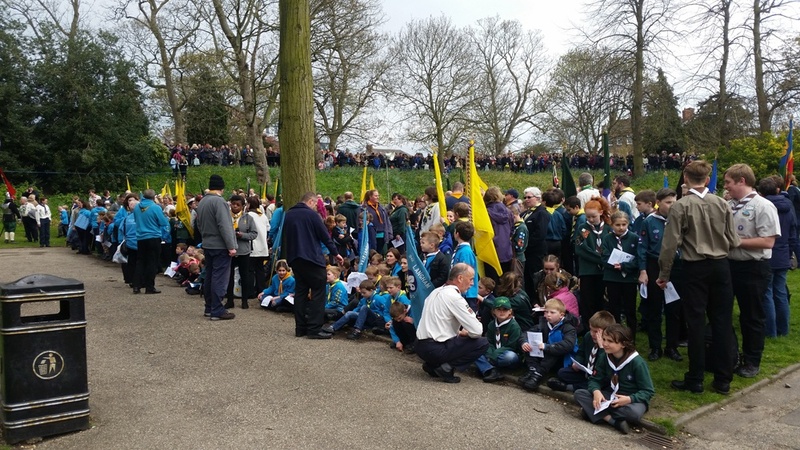 Sue Wickens (left) started the first Beaver Scout Colony at 5th Colchester Scout Group 30 years ago and is still Leader today. 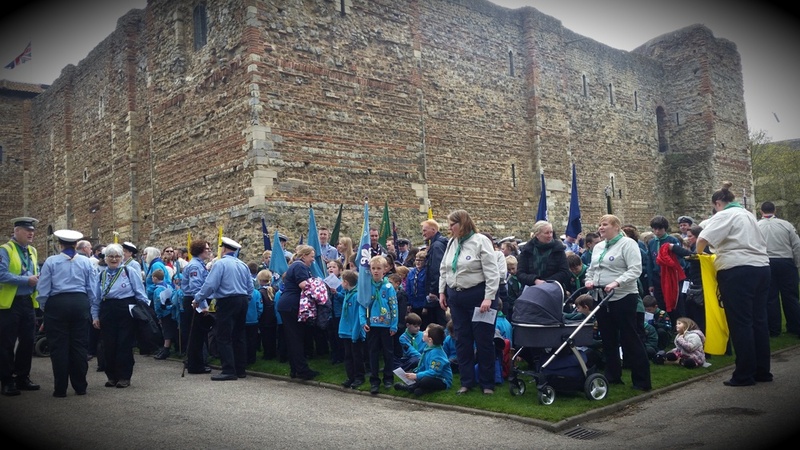 A group of different Scout sections outside Colchester Castle.